We’ve been blessed with plenty of snowfall this November, making our season opening one for the books. 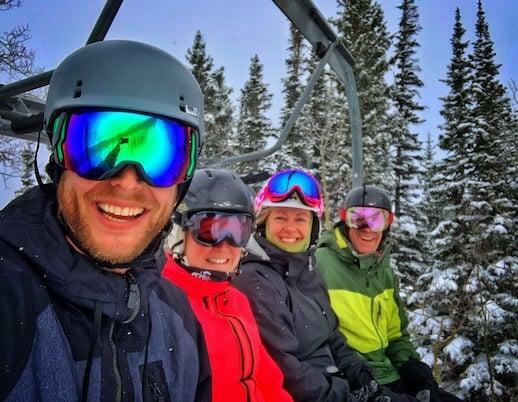 The Crested Butte Collection team held our weekly team meeting on the Silver Queen chairlift last Thursday. Our team talked business on the way up, and hooted and hollered on the way down, all agreeing the mountain is skiing extraordinarily well for this early in the season. In addition to our gift of snowfall from Mother Nature, Crested Butte Mountain Resort was well prepared with their pre-season snowmaking efforts. Which got us to wondering, what goes into this process and who are the people behind it? If you’re considering joining us on the mountain for some turns this winter – and we hope you do – contact us in advance with any questions you may have about real estate in the valley.